Your jumpsuit's on and your aviators are still plastered to your face. What's left? Well, becoming the king of rock and roll isn't that easy. You're gonna need a lot of swagger while maintaining a love-struck attitude at the same time. Millions of high school girls around the world weren't screaming about Elvis's jumpsuit or his sunglasses. Hey, we don't want to make any enemies but we don't think it was his music either. No, they were screaming over his hunky persona! 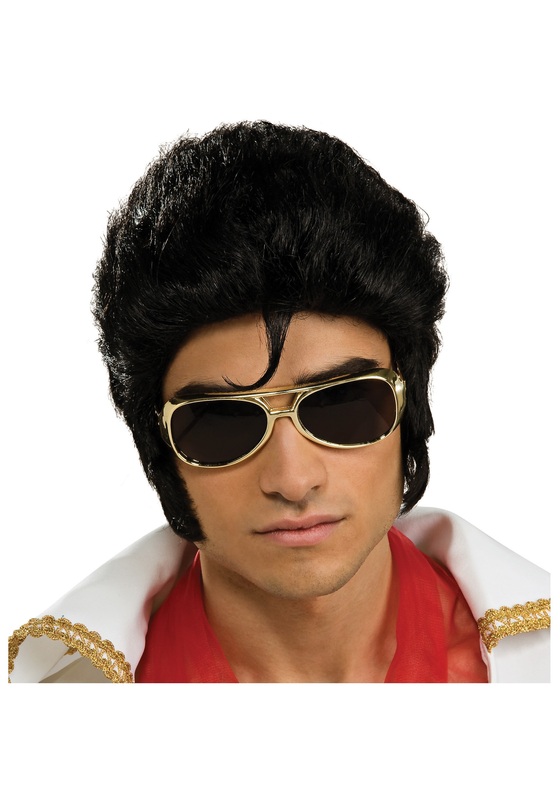 Show you've got that spunky quality old school rock and roll fans crave with the slicked back do' that Elvis shook, rattled, and rolled in! After all, no one meek has ever really pulled off a Pompadour. That's a fact. You can look it up. But you won't have the time to go Wikipediaing Elvis's do once you're wearing it. You'll be too busy living that rock and roll lifestyle. Peanut butter, banana, and bacon sandwich, anyone?